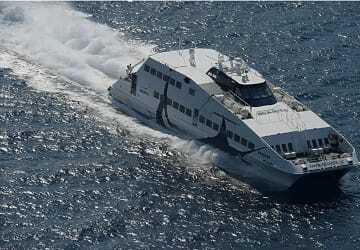 The Piraeus Sifnos ferry route connects Athens with Cyclades Islands and is currently operated by 4 ferry companies. 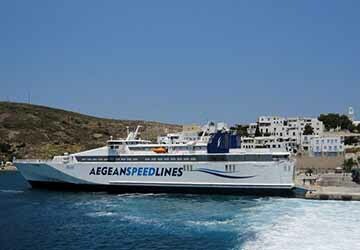 Aegean Speed Lines operate their crossing up to 13 times per week, Zante Ferries 11 times per week, Sea Jets 14 times per week & the Golden Star Ferries service is available up to 7 times per week. 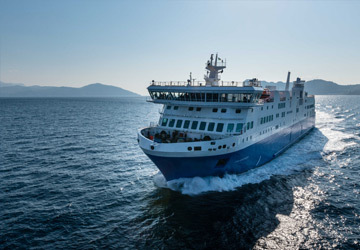 There are a combined 45 sailings available per week on the Piraeus Sifnos crossing between Athens and Cyclades Islands and with 4 ferry companies on offer it is advisable to compare all to make sure you get the best fare at the time that you want to travel. Prices shown represent the average one way price paid by our customers. The most common booking on the Piraeus Sifnos route is a car and 2 passengers. The outbound trip was delayed over an hour. However we received warning by SMS so I guess that was okay. Ferries are what ferries are and as ferries go the trip was fine. I couldn't help as always when sailing on ferries be shocked at the billowing clouds of diesel smoke. 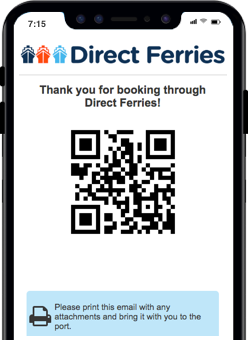 It would be a benefit for the enviroment and the health of the crew and passagers if ferry companies began thinking about using more "green technologies" and alternative fuel sources. Diesel fumes are a killer. I'd even be willing to pay an ekstra tariff. I am sorry for who had bad experience but for us was good. "Two appreciations and a proposal"
I travelled with my wife from Pireau to Syfnos and return. I noticed the percfect punctuality of the ferries and the speed. A particular appreciation about the Hellenic's employees, they resolved one of our problems eith the ticket and they were really kind. I only suggest to improve the procedure to help customer with luggages to get off the boat. Excellent punctuality and organization despite rough sea. "Amend booking is really dificoult"
There is only an office at Gate 7 where to change an Aegean booking in ticket: opening at 6 am and closing in the early evening. The trip was anyway punctual and nice, comfortable and clean ship, air conditioner, too expensive cafè, nice crew.